The ride that my roommate and I helped organize has come into the National CFF spotlight. Click here to see the story and visit the national website to learn more about how you can help fight for the cure of Cystic Fibrosis. What a race! I completed my first Half Ironman this weekend in Austin, TX. The weather was beautiful and so was the scenery. The hills were not so bad on the bike, but the run was a different story. We were surprised by a two or three mile section of off-road running including a long steep hill. 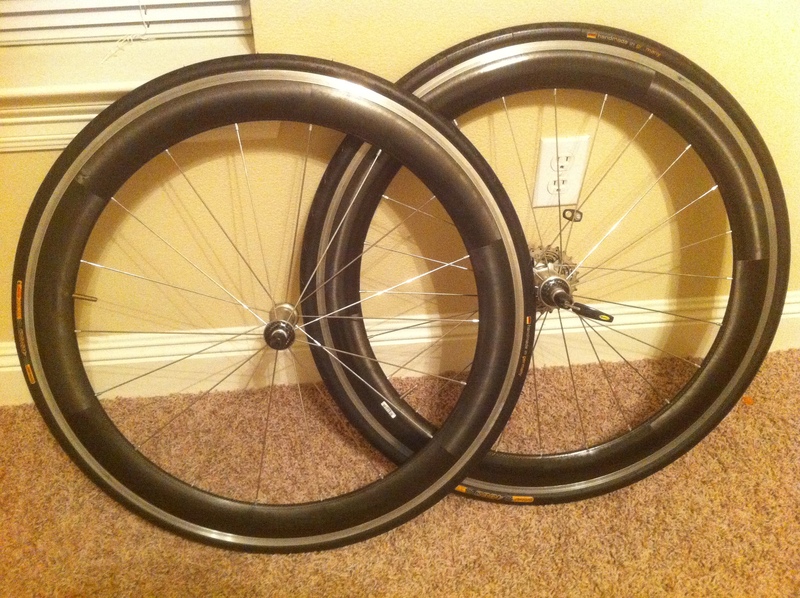 I bought these Zipp 404 clinchers from a friend today. I figured they would be better for the race this weekend if I were to get a flat. On my Easton tubulars I would be out of luck and stuck out on the race course waiting for a wheel truck where the extra 46 mm of wheel section would do no good. I will sacrifice a small amount of aerodynamic advantage so that a flat will be a simple five minute fix. I’m removing these old decals and either leaving the wheels bare or putting 2008 decals on them. I will post pictures after I’m done. They should look great on either of my bikes. 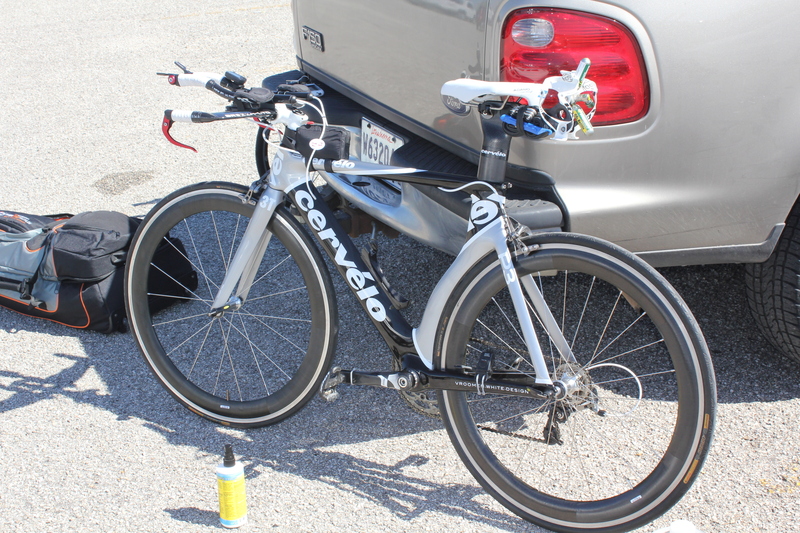 Ironman 70.3 Austin – Coming This Weekend! After training hard for three months, my big race is coming. It is now less than a week till I will race with hundreds of multi-sport athletes who share the passion for such a great sport. This will be my first Half-Ironman distance race, and I am ready. Some fellow LSU Triathlon Club members and I will be competing together and are driving down to Austin this Friday. I look forward to posting the results and pictures as soon as we are back. 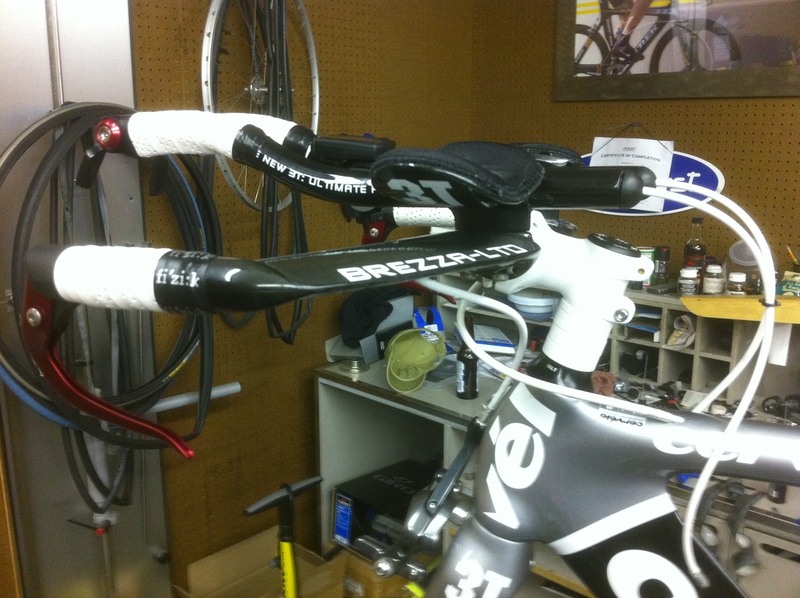 I found a new stem to replace the temporary one that I had on loan from the bike shop. I put on some white cable housing to match. It all came out looking great. Not only does it look great, but the new cables are extremely stiff and make the bike shift like a dream. Went on a hour ride this morning and everything felt solid. This bike transfers power so well. The big race is today! Live coverage here. Live coverage begins 11AM EDT (10AM CDT). Congrats to Chris McCormack for winning his second Ironman World Championship! Ford Ironman World Championship Recap.